The history of theater in Croatia dates back to the 11th century with liturgical drama. 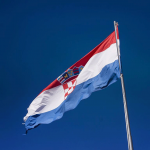 Today there are about 100 theater houses in Croatia, but only five theaters have the status of a “national theater” including the one located in Zagreb. 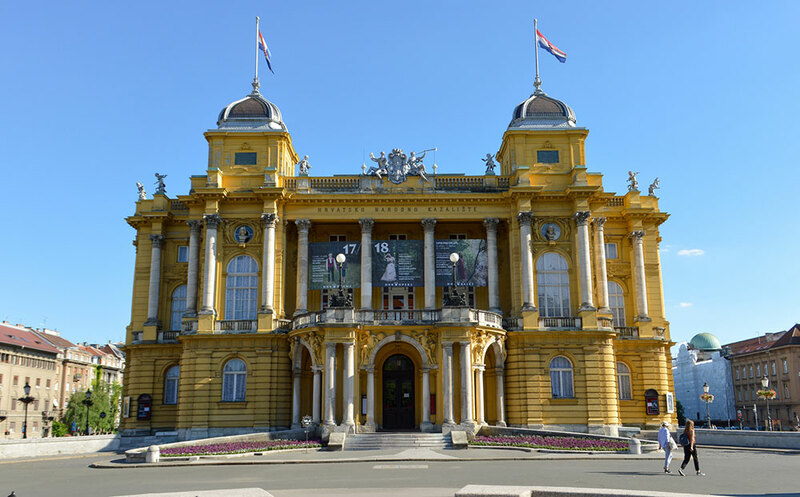 Visitors and locals in Croatia’s capitol have trouble avoiding Zagreb’s imposing, bright yellow Hrvatsko narodno kazalište (“Croatian national theater” or “HNK” for short) designed in neo-baroque style that welcomes those arriving at the main train station. Full theater program can be found here. Full contact information for the theater can be found here. Tickets for performances vary from 50 kuna to 160 kuna. More detailed ticket information can be found here, as there are multiple pricing categories. Students (1 ticket) and pensioners (1 ticket) for purchase of only 3rd and 4th category of places. Must show student or pensioner status. Besides visiting the HNK in Zagreb for drama, opera and ballet, it is possible to tour the building. An individual ticket is 25 kuna. For groups of 10 people or more, the cost is 15 kuna per person. 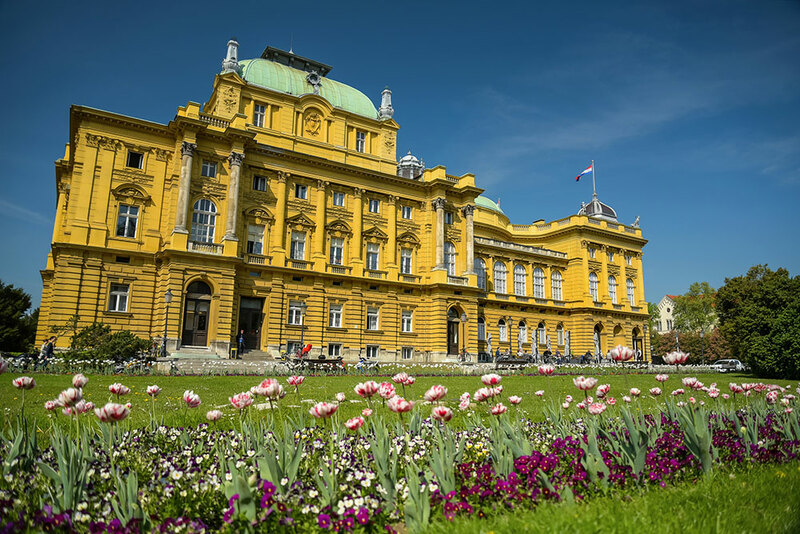 The national theater in Zagreb offers 12 different packages for seasonal tickets, ranging from 190 kuna for students to 1.380 kuna for premier titles. All information can be found here. Zagreb’s National Theater is located on the south side of Zrinjevac Park. This location, prior to the building of the theater, was a marketplace where livestock and fresh produce were sold. As an institution, the Hrvatsko narodno kazalište (HNK) in Zagreb is the oldest and most central. 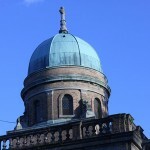 However, the building and location where it is currently located are relatively new. Before the bright yellow neo-baroque building was commissioned, the original theater was situated in Gornji Grad (Upper Town) of Zagreb, in a much more humble building on the corner of Trg Sv. Marka and Freudenreichova ulica. This theater was built in 1834. After the earthquake in Zagreb in 1880 seriously damaged the old theater building, it was decided that the building no longer met the needs of the 3 ensembles operating under its roof. It was then that the new building as it stands today across from Glavni Kolodvor (train station) was built. It was designed by Austrian architects Hermann Helmer and Ferdinand Fellner, known for 40 or so other lavish theater buildings scattered around Europe. It took only sixteen and a half months to build. In the presence of Emperor Franc Joseph the 1st of the Habsburg monarchy, the theater officially opened on October 14, 1895. 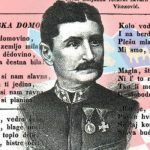 At the time of its opening, Croatia was part of the dual Austro-Hungarian monarchy. Of the 5 national theaters in Croatia, the one in Zagreb is the youngest. At least twelve premiers are performed annually. With an additional 20 returning titles, this theater boasts over 220 stage performances per season. As a central national house, the HNK in Zagreb nurtures a varied program that includes the work of domestic authors as well as works of the classical and contemporary world repertoire. The Croatian National Theater in Zagreb is part of the Opera Europa, FEDORA platform and European Theatre Convention. 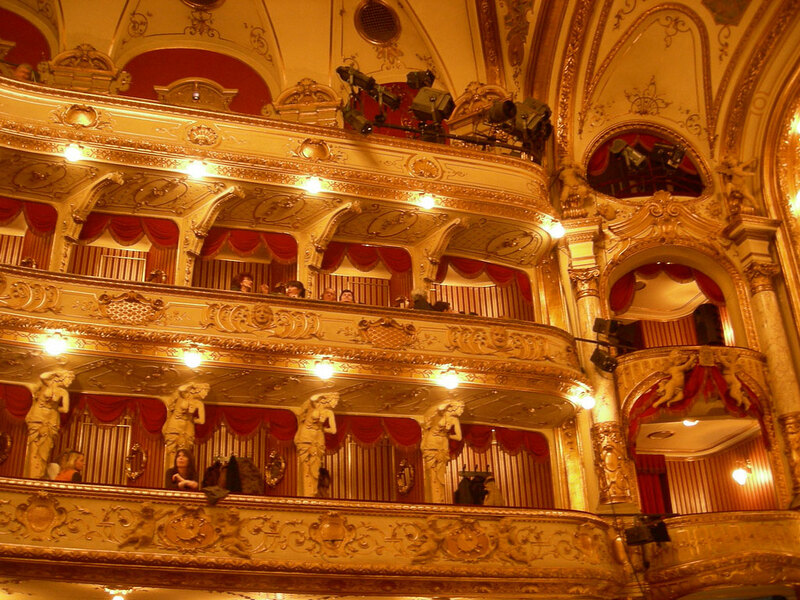 HNK in Zagreb is home to three ensembles: drama, opera, and ballet. Have you been to a performance at the Hrvatsko narodno kazalište in Zagreb? What was your experience like?